The Academy has presented us with quite an interesting eight film field for Best Picture this year. While half of the nominees are biopics – traditional Best Picture fare – we also have some rather audacious and distinctly non-traditional contenders. There is even a comedy in there! We also don’t have a cut and dry favourite, with different films having seemingly risen and faded over the last few weeks. What follows is a breakdown of the eight contenders chances and the arguments for and against for each. Why American Sniper will win: American Sniper is far and away the biggest commercial hit of the group, and while box office is rarely a contributing factor in deciding who wins Best Picture, it is indicative of the film’s broad appeal. Clint Eastwood is an Academy favourite and with its exploration of the harships endured by returning troops his is film which tugs at American heartstrings in a way that none of the other nominees do. In the last couple of days pundits have started to speculate that American Sniper could be the film to pull off an upset. Why American Sniper won’t win: As there are more nominees in the Best Picture category than the Best Director category, the latter always serves as the first indication of who the real Best Picture contenders are. Despite being a perennial Academy favourite, Clint Eastwood did not pick up a directing nod. But that is not what is going to hurt American Sniper’s chances. The film is seemingly too polarising to win the award in a preferential voting system. American Sniper’s reviews have ranged from excellent to damning. So it may well top a number of voter’s ballots, but it will be at the bottom of just as many others. Divisive and controversial does not win Oscars. Why Birdman will win: Birdman is a highly original piece of work and a great technical achievement with its simulated single shot style. With its exploration of themes of art and legacy and its insight into the worlds of film and theatre it seems custom built to appeal to the types of individuals who wind up in the Academy. Innaritu’s film took out the top awards from the Screen Actors Guild, the Directors Guild (traditionally the most accurate Best Picture predictor) and the Producers Guild, suggesting that it should have support across numerous branches of the Academy. Why Birdman won’t win: It looks to be a similar situation to last year’s race in which your favourites are a film that is an amazing technical achievement (Birdman/Gravity) and a film which impacts people on a more emotional level (Boyhood/12 Years a Slave). Last year Gravity got Best Director but 12 Years a Slave got the big one. If Fox Searchlight can’t convince voters to see more than the technical feat, to see the universal human themes being explored, a similar fate could await Birdman. Why Boyhood will win: While Birdman and The Grand Budapest Hotel are undeniable artistic achievements, Boyhood is arguably the defining film of the year. It was just such an audacious idea, to make a film, bit by bit, over a dozen years. With its intimate, human story, Boyhood is the feel good story of this year’s nominees. It is the little movie that could, and sentiment has often played a big role when it comes to the Oscars. Why Boyhood won’t win: One month ago, you’d have said that Boyhood was a reasonably clear favourite in the Best Picture race, but it seems to have lost a bit of momentum as the Awards approach. While it picked up the Best Drama award at the Golden Globes, the other key players in the Best Picture race – Birdman and The Grand Budapest Hotel – were in a different category, so you can’t read too much into that form-wise. Much of the appeal of Boyhood comes down to its mode of production – the twelve year shoot resulting in characters ageing before your eyes – but if voters dismiss that as a gimmick, or desire a more traditional narrative, Boyhood could fall out of the running. Why The Grand Budapest Hotel will win: The Grand Budapest Hotel has a point of difference from all of the other nominees. It is light. It is fun. It stands out. It’s director, Wes Anderson, is one of America’s most unique and admired filmmakers of the last two decades. He has twice previously received Best Screenplay nominations, but this is the first time he has earned a place in the Best Director and Best Picture field. Is this the film with which the Academy believes Anderson has put it all together and makes it time to reward this talent? The Golden Globe for Best Comedy or Musical is rarely an Oscar indicator because so often the main Oscar contenders are over in the Drama category, but this year in winning that award The Grand Budapest Hotel got one over Birdman, a major Oscar contender. Why The Grand Budapest Hotel won’t win: While the visual artistry of the film and the performances Anderson got from his actors make The Grand Budapest Hotel so much more than a comedy, the fact remains that if you had to label it, it is a comedy. Can you remember the last time the Academy gave Best Picture to a comedy? Best Picture is an award for serious films, for dramas. The Grand Budapest Hotel was also released quite early in 2014, rather than in the traditional November-December award season. While this makes its nine nominations impressive, it does leave open the possibility that as voters hurry to catch up with the recent films they haven’t yet seen, The Grand Budapest Hotel is pushed to the back of their minds. Why The Imitation Game will win: The Imitation Game is a classically well-made film. A period biopic of a tortured genius, it is probably the most traditional looking Best Picture competitor in the field. It has received eight nominations, a strong haul, which include all the key categories with nods for its director, screenplay and male and female leads (even though Keira Knightley is nominated in the supporting rather than lead category). While it tells a large scale historical story, it also brings a topical message about the persecution of homosexuals which will appeal to the liberal elements of the Academy. Why The Imitation Game won’t win: Despite getting eight nominations, including hitting all the key categories, The Imitation Game hasn’t managed to garner the buzz of the big three. 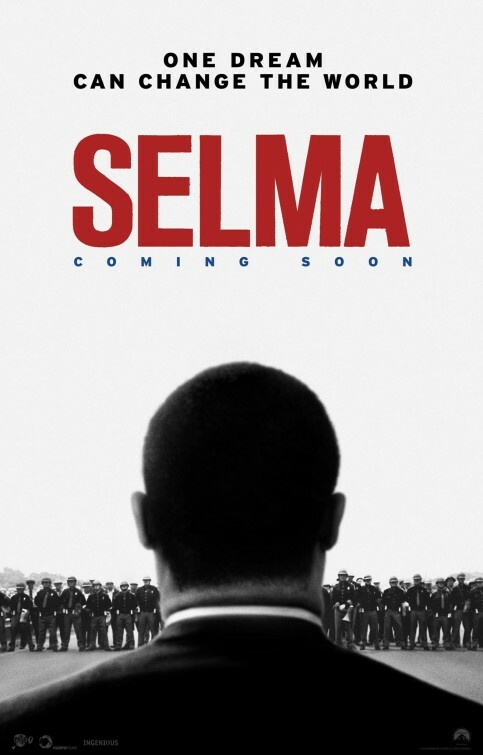 Likewise, while its message about the persecution of homosexuals is topical, it hasn’t prompted discussion to the same extent that Selma’s topical message has. The Weinstein Company, usually great salesmen, don’t seem to have managed to position The Imitation Game in the front of people’s minds. Why Selma will win: Selma is a significant film, the first ever to have Rev. Dr. Martin Luther King Jr., a most revered figure, as its protagonist. There has been a minor controversy stirred up over the film only receiving two nominations. While some are blaming racial prejudice from the white men of the Academy, others point to Paramount’s decision not to send out screeners to voters meaning so not enough people saw it. More will have seen it now, and the controversy may have whipped up a sense of injustice which will see people lean towards this film. There is a precedent of sorts for this if we consider Argo’s Best Picture after the surprise at Ben Affleck being excluded from the Best Director field. Why Selma won’t win: Whether controversial or not, the fact remains that Selma only picked up two nominations and that is the least in the field by some margin. Its other nomination is for Best Song, which it will probably win, but is hardly a traditional indicator of Best Picture chances. So it is undoubtedly an outsider. There is also the question of whether the outrage from some corners over the ‘snubbing’ of this film will result in voters reconsidering its merits or push them further away. 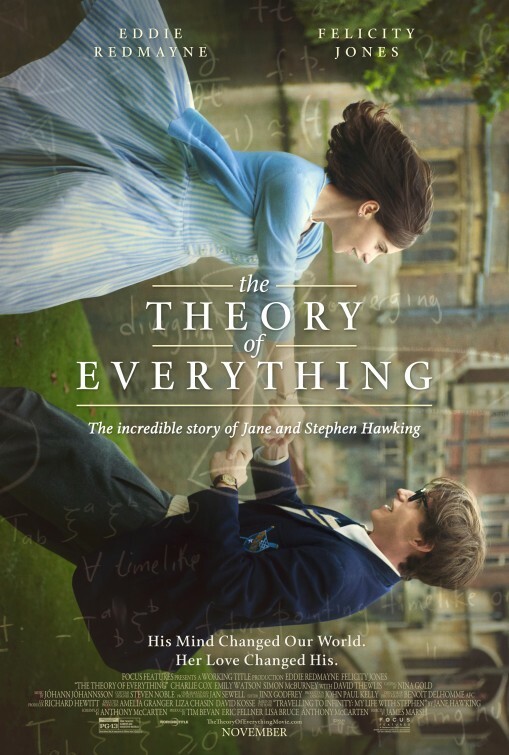 Why The Theory of Everything will win: How could it not? It is a biopic, a love story featuring a world famous scientist with a degenerative disease, and features a star-making performance. It just screams Oscar! The Theory of Everything, like The Imitation Game, is as close as you get to classic Best Picture bait in this year’s nominees. The film is driven by the strong performances of Eddie Redmayne and Felicity Jones, both of whom are real chances of winning in their respective categories. If voters get behind those two, The Theory of Everything could ride their momentum to the big prize. Why The Theory of Everything won’t win: Another in the ‘no Director nomination’ group, The Theory of Everything’s greatest strength could also prove to be its greatest weakness. Redmayne’s amazing performance could lead to the perception that this film is merely an actor-vehicle, and actor-vehicles have proved much more successful at winning acting gongs than Best Picture (Milk, The Iron Lady, Capote, etc). The only major prize the film, as opposed to its stars, has picked up was Best British Film at the BAFTAS, but the only other Oscar nominee in the running was The Imitation Game. Why Whiplash will win: Like Birdman, Whiplash is a film about creativity and creative people and what drives and motivates them. The Academy is full of creative people so that should resonate. While a lot of the buzz around the film is understandably surrounding JK Simmons, Whiplash still managed to pick up five nominations. Despite being the smallest film in the running, Whiplash has some strong admirers without any equally passionate detractors, giving it the potential to earn some high preferences without the low ones to cancel them out. Why Whiplash won’t win: Whiplash is easily the smallest film in the field. Will it have the resources to campaign with the big boys? Its notable award wins have come from the independent Sundance Film Festival rather than from industry awards in which it was competing against other Oscar nominees. Whiplash has won a lot of awards, but the overwhelming majority of them have been for J.K. Simmons performance. So explosive is Simmons’ performance it is possible the merits of the rest of the film could be lost in its shadow.